View the Video Verification Webinar : May 13, 2015 at 1pm CST. View the recording here. DMP and Securecom Video offer a patent-pending technology that's compatible with any automation software. Video is triggered by alarm sensors that activate cameras to record and make live and pre-alarm video clips. These clips are available to the central station operator immediately from the intrusion alarm screen display. When the alarm window expires, the camera views turn off. Operators can download both pre- and post-alarm clips during the alarm window. This set of features provides a seamless coordination among the intrusion alarm system, the central station operator, and the subscriber. DMP Central Station Video Verification meets the CS-V-01 Alarm Verification & Notifications Procedure Standards. Providing real-time-alarm data backed by video is in the hands of those who need it the most at the very point of critical decision-making. In an alarm situation, users receive a real-time alarm notification on their mobile devices. Clicking on the Alarm Push Notification opens the app to view a list of available live camera views. Immediately, users can either cancel or verify the alarm from the app screen based on their knowledge of the situation and camera footage, or what they're witnessing at the premises. Recorded clips from on-site cameras are available 10 minutes prior to the alarm. The app not only puts remote system control in the hands of the person who's best equipped to make the decisions, but it also removes subjective decision making by central station operators. Video Verification gives the user the power to quickly confirm a valid reason to dispatch emergency responders or cancel false alarms, which can be costly. 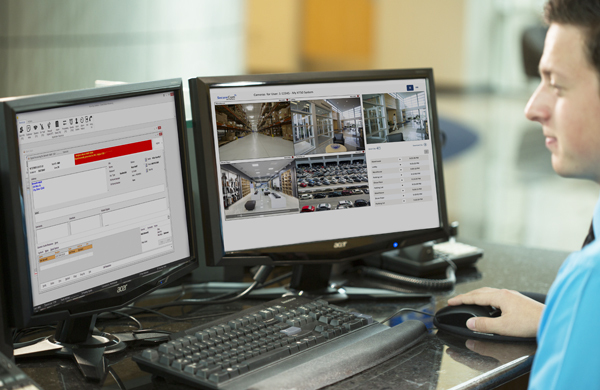 Video Verification from DMP is the future of alarm system management and available today. For more information on Central Station Video Verification: Check out the Video Verification spec sheet, the Selling Video Verification document, and the Video Products spec sheet. For more information on End User Video Verification: Check out the Virtual Keypad App spec sheet, and the Virtual Keypad App Brochure (Residential) or Virtual Keypad App Brochure (Commercial) . You may also view the Virtual Keypad Worksheet here. The Virtual Keypad app is compatible with new and existing DMP XTL, XT and XR Series panels with cellular and internet connections. Add the Virtual Keypad app to ANY alarm panel with Contact I.D. via the CellComSLC & CellComSLCZ communicators. View the online help files below for both Apple and Android devices.